We just arrived in Santiago after a long flight south, almost 10 hours and 7,583 kilometers. During the night, we had a spectacular view of a towering thunderstorm—some of the most intense lightning we’ve ever seen. We were watching for “Sprites,” upward propagating electrical discharges high above the clouds that have some quite distinctive shapes (see http://en.wikipedia.org/wiki/Lightning#Sprites). With the rising of the morning sun, we had a good view of the mountain range east of Santiago, and a smooth descent into the airport. Upon arrival, we were met by representatives of Agunsa, the company supporting our travel through Chile. Jimmy and Jose were ever helpful as we stumbled through the airport crowds. They helped us find a Starbucks and an Internet access point. We are now relaxing with coffee and getting a few last minute images of our survey site (provided by Bryan Blair of the NASA LVIS IceBridge project). 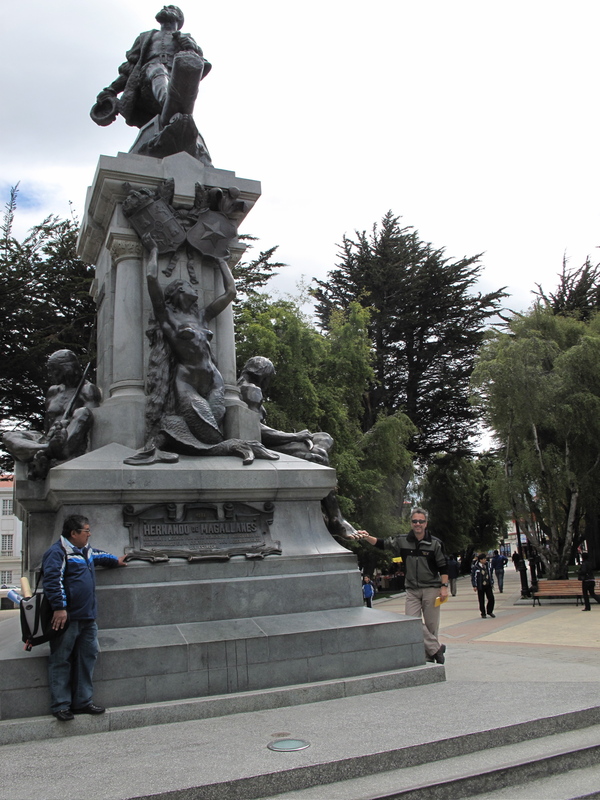 We leave for Punta Arenas is in a few hours, and we’re looking forward to getting a break from air travel.